I am so in love with this shampoo i just try a month ago. It's so moist on my hair and make my hair shiny. Totally love this product so much! Your hair is dull, limp and stiff? The trick is quite easy, you simply rub it all over the hair with olive oil, then cover with warm items. Leave on for 20 minutes, then wipe thoroughly. Routinely at least 2 times a week for maximum results. I will give you much easier solution. The solution you can use Mylea Anti Dandruff Hair Shampoo is a shampoo with a special formula Silicon Free containing Arnica flower extract and Piroctone olamine. 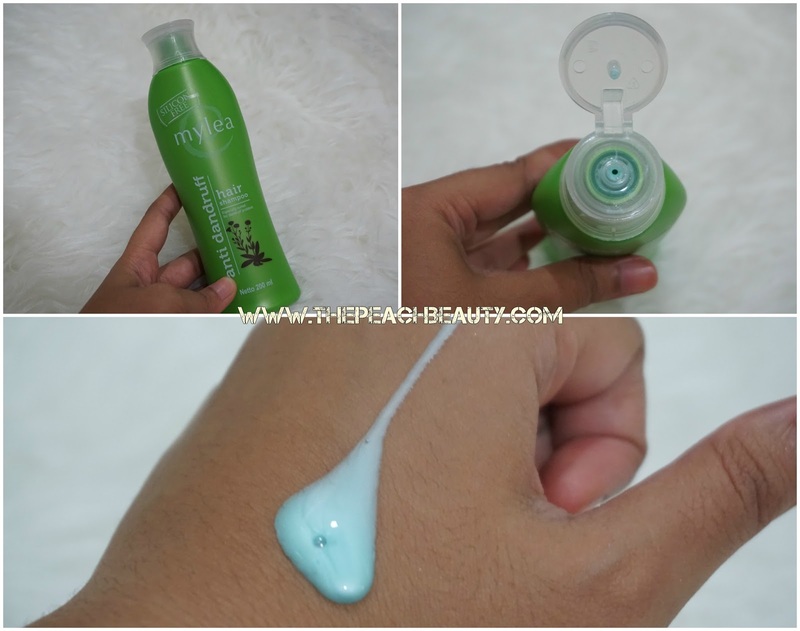 How to Damp hair, use mylea Anti Dandruff Hair Shampoo by massaging the hair gently until frothy. Rinse thoroughly and repeat if necessary. Mylea Anti Dandruff Hair Shampoo is a shampoo with a special formula Silicon Free containing Arnica flower extract and Piroctone olamine. Free silicone cleans hair without leaving the buildup on hair, hence flower extract nutrients Arnika and Piroctone olamine can give care and keep hair healthy. Wet your hair, use mylea Anti Dandruff Hair Shampoo by gently massaging the hair until it is foamy. Rinse thoroughly and repeat if necessary. But the product is a bit pricey. How much does it cost Mylea Hair Shampoo Anti Dandruff? The cost it may vary in each counter. I have purchased this Mylea Hair Shampoo at Century near my place. It does cost around 57K IDR (Indonesia Rupiah) or USD$ 5. But there is online shop which is selling way much cheaper than in the counter. you can get 50K IDR Price if you buy online in pusat kosmetik. 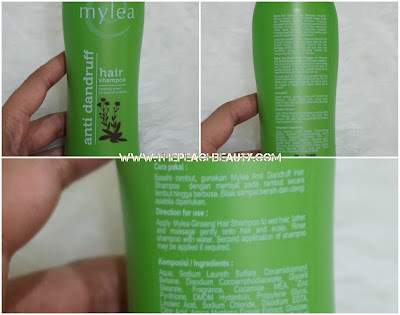 Where you can purchase Mylea Hair Shampoo Anti Dandruff? You can't find it on Indormart, Alfamart, Hypermart, or even in the traditional market. Transmart, Carrefour, Watson, and Century. Punyaku masih kemasan lama dan cairannya warna biru bening. Gak creamy kyk yg ini. So far wanginya suka, lembut kyk shampo baby hahhaa. Trus ada sensasi sejuknya gitu. oh aku malah baru tahu ada kemasan baru dan lama.